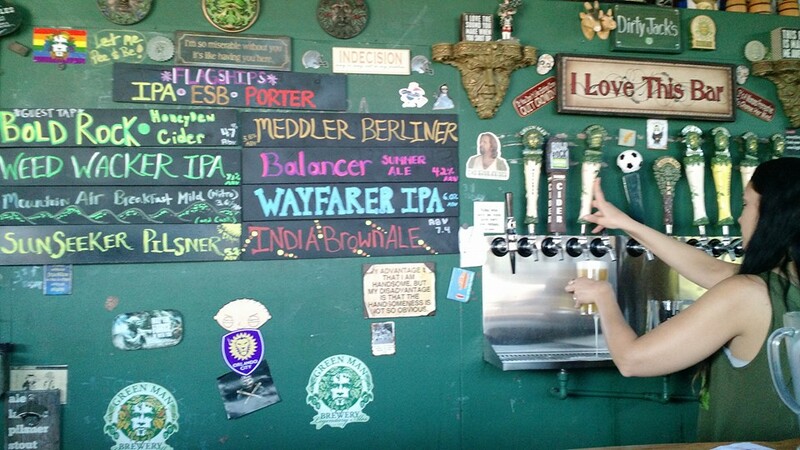 Bainter and his buddies get together to try the best craft beers they can find. 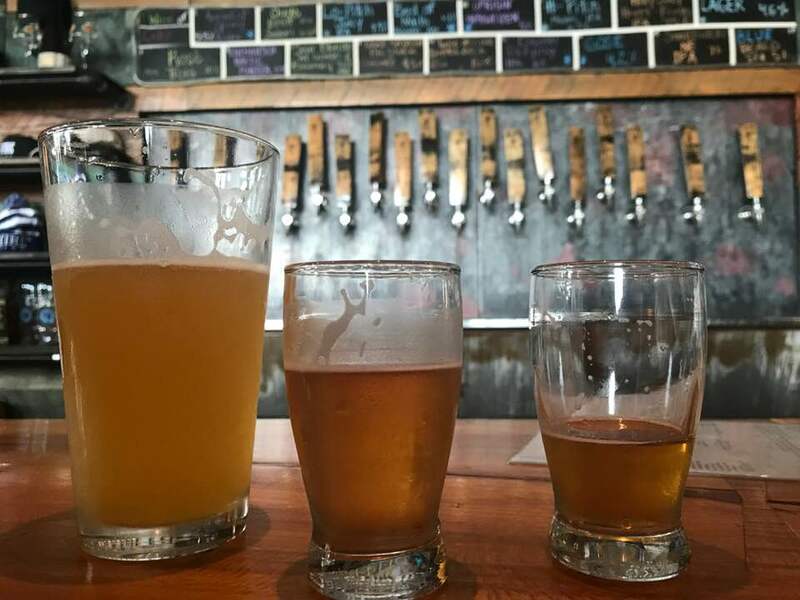 Published April 7, 2019 at 12:03 p.m.
Rhett Bainter doesn't necessarily call himself a "beer tourist." He prefers the term "beer snob." Whatever you want to call him and his buddy, Tim Schwitz, they're the kind of craft beer enthusiasts who will drive four hours to Decorah, Iowa, for a beer release, buy one $50 bottle of beer, turn around and come home. 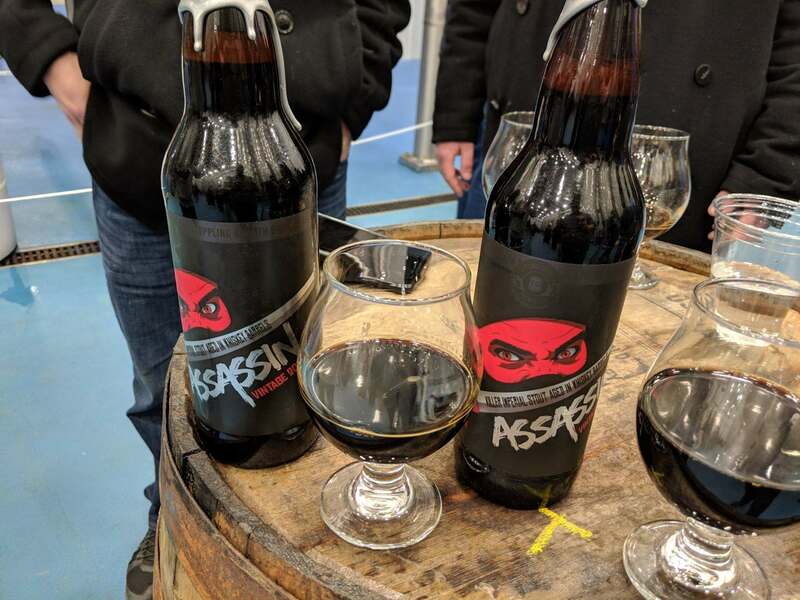 In fact, they did that just last weekend, visiting the Toppling Goliath Brewing Co. for the release of their Assassin beer. But before they took the road trip, Bainter snapped up one of the elusive $6 entry tickets … two months in advance. Sandy Zoeller, a graphic designer in Milwaukee, tried to go the event, but missed her window. "It's a like a really big concert ticket," she says. "We had seven computers trying to get tickets, and we still didn't get them." If you ask Bainter, this is a big deal. "If you Google best beers in the world," says Bainter, a motorcycle sales manager by day, "I believe the latest rankings puts their KBBS as the No. 1 beer in the world. They do four big releases a year of their dark, barrel-aged stouts. This was one of them, this was for the 'Assassin.'" Bainter, who actually doesn't drink that much, says the journey is the reward. And while some craft beer tourists hoard their bounties in a wine cellar (but for beer), he and his buddy drank one of their two prized bottles when they got home. "It was exceptional," he says. Schwitz, a dispatcher in Washington County, wasn't even a beer drinker prior to getting into the hobby a year ago – "I wouldn't even drink a Miller Lite last year if you handed it to me" – but got into it through a bet with Bainter and their mutual friend. Now he has hundreds of bottles in his basement. He also trades bottles with his craft beer sipping friends. While Iowa was the farthest Bainter has traveled for one specific beer release – he says others came from all over the country – he has taken motorcycle trips all over the country and brought home beer. Says Bainter, "I've ordered beer from a specific release from as far away as Orange County, California, and then had someone go to the brewery, get it for me and ship it." Bainter doesn't just collect his beers (although he currently has about 30 22-ounce bottles at home). He drinks them with his beer-collecting friends. "Typically we'll drink one if we can get our hands on it for sure and share it with friends, and if we hang out more, share it with other friends at a different time, or use it as trade bait to get other stuff we can't get. It's like when I was a kid and was collecting baseball cards or comics. You know, we'd go so far out of our way to try and get the unobtainable whatever, but then it's a matter of oh, I wanna share it with my friends." Zoeller, who considers herself a novice in the craft beer world, has visited Transient Artisan Ales in Bridgman, Michigan, three times, for member bottle releases. "It's fun," she says. "Why would we drive for several hours to stand in line if it wasn't? Wherever we go, we plan our vacations around breweries nearby. I've gone to Asheville, North Carolina, twice, for the beer scene there." Bainter says that while some beer can be left to age, some is meant to be consumed shortly after bottling. "Depending on the beer, some ages better than others. A lot of local breweries are making really good stuff, but it needs to be drank now, not two months from now, two years from now, five years from now." Says Zoeller, "I don't drink them all immediately, but I bring them out for a special occasion. I brought one bottle of 'Morning Delight' from Toppling Goliath to Mardi Gras and opened on Fat Tuesday. I was actually saving one for the Brewers if they made the World Series. Some people resell them, but I don't." In case you're wondering, Bainter also likes Milwaukee beers – his goal is just to drink something different every time he goes to a bar. He's a particular fan of Eagle Park Brewing Company. He's also holding onto his bottle of Lakefront Brewery's Black Friday from 2015. But his favorite local brew? "If I had to pick one – Booze For Breakfast off the top of my head," he says, pausing. "Maybe Big Bottoms Up. Zoeller, who has about 20 beers in her stash, says this an easy hobby to get into, even if it feels intimidating at first. Her advice: just talk to someone who is into it. "it's very friendly, but you need a beer guide," says Zoeller. "Show up at festival. People are really happy to talk about the process. You don't need to be an expert to enjoy it." Schwitz says that while the beer he tasted on Saturday was the best he's ever had, for him, the hobby is more social than anything. "You meet people when you go to these breweries," says Schwitz. "Actually, Rhett and I just randomly started talking to the two guys in front of us at one of two breweries we went to on Saturday, And now we're friends with them on our beer app. We talked about trading between Iowa and Wisconsin." Bud Light negativity turns into free beer with the Coors Light "smart beer tap"